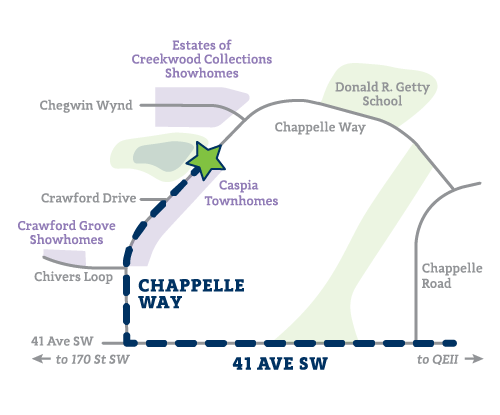 The showhomes at Caspia in Creekwood Collections are now open! City Homes Master Builder offers three luxurious townhome floor plans at Caspia, with each being around 1,460 square feet. All models feature upgraded stainless steel kitchen appliances, triple pane glass, Low-E windows and programmable thermostat. These beautiful townhomes are located near the estates section of Creekwood Collections.